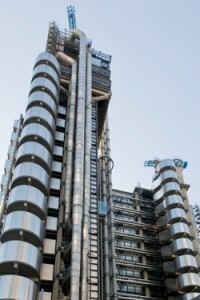 The creation, with government support, of an efficient structure for insurance-linked securities (ILS) in the London insurance & reinsurance market, will help to secure the city’s future, according to Lloyd’s of London CEO Inga Beale. Speaking yesterday at the British Insurance Brokers Association (BIBA) conference held in Manchester, the Lloyd’s Chief Executive explained that the ILS ambitions of the London market need assistance from the government in order to achieve the best possible outcome. It is considered key for any ILS or collateralised reinsurance structure created and developed for the London market to be efficient, in terms of set-up speed, frictional effort, taxation and of course also cost. Beale mentioned that the government is required as a partner on this journey towards establishing London as an option for ILS domicile and transactional business, with assistance from HM Revenue & Customs (HMRC) vital (HMRC is responsible for taxation issues in the UK). Artemis spoke with Beale to hear more of her thoughts on ILS and what the UK government and regulators can do to help London’s insurance and reinsurance market meet its goal of becoming a sophisticated hub for ILS business. “One area where we could see increased growth in foreign investment is insurance linked securities,” Beale explained. “In this regard, I’m pleased to say that the UK government is thinking ahead and working collaboratively with the industry, under the leadership of the LMG. 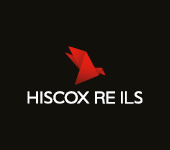 This initiative seems vital, we believe, in a reinsurance market that is changing rapidly, with London perhaps having fallen behind the trend on ILS, in terms of its ability to offer the products, as other domiciles became specialists in this area. But now, with the ILS market having grown considerably and continuing to expand its role in global reinsurance, there seems enough business to go around for London to offer a viable alternative and complement to the more traditional ILS hubs. Ultimately this initiative appears to be about maintaining relevance in the global re/insurance market. While Lloyd’s itself is a dominant force in re/insurance market negotiations, it has not had a significant ability to transact ILS to-date. Adding capabilities to London and ensuring they are aligned with Lloyd’s seems a good approach to help the market to generate additional capacity, new income sources and leverage its deep underwriting expertise to help ILS capital find the risks it wants to invest in. After all, Lloyd’s is historically a market run on third-party capital. With the growth of ILS and alternative reinsurance capital continuing apace, we should perhaps expect the market to once more become a market that leverages external investor capital as a major source of underwriting capacity, with corporate capacity perhaps shrinking as a share of the market in time. “The UK is already very good at attracting foreign capital. We are a secure legal jurisdiction, we have the best and most innovative underwriters in the world, and we have a dynamic banking culture that can support a broad range of investment strategies. In recent years, we have seen increasingly global sources of capital come into the Lloyd’s market. Some of this is through M&A activity, as well as other sources like catastrophe bonds,” Beale concluded. – LMG welcomes start of UK gov’s ILS legislative process. – Lloyd’s of London to launch Lloyd’s Index service for risk transfer. – London LMG looks to innovate on equal reinsurance credit for ILS. – Attracting ILS & cat bonds will be challenging for London: Report.